How can I learn more about Field Hockey? See the section on our site called What is Field Hockey? It contains information on the history of the sport, the rules, and equipment needed to play. These are the nuts and bolts of the game, but feel free to contact us at and we will be happy to answer any questions that you may have. The sign at the Field Hockey pitch in Moorpark (in hockey we call the field “the pitch”) famously reads from 5 to 85…beginners to Olympians. We encourage everyone to participate. Our youngest division is 8U and includes players as young as 5. Youth divisions continue through age 19, and we also have several adult divisions including social and competitive teams for men and women. With the Bulldogs, there is a place for everyone to play and grow in the sport. Isn’t Field Hockey just for girls? No. 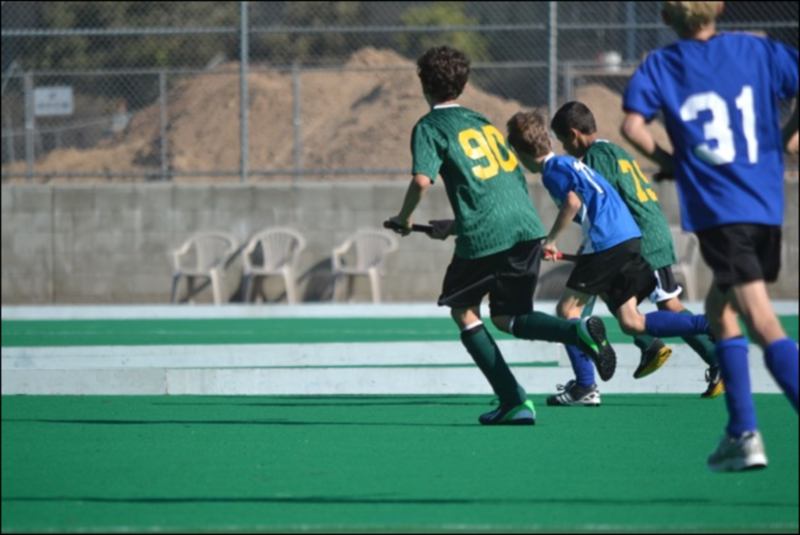 The Bulldogs Field Hockey Club has thriving programs for both boys and girls. Teams are Co-Ed up to 12 years old. Our competitive youth divisions starting at 14U prepare players for the highest levels of competition. Many of our players go on to participate at the college level and play on US National Teams. And of course if you just want to play for fun, our club encourages social play at all ages. Who can play on the Bulldogs? We actively recruit players from Newbury Park, Thousand Oaks, and Westlake Village, but have players on our rosters from all over the Greater Los Angeles area. All games and practices are held at our home field at Moorpark College. Directions to the field can be found here. When is Field Hockey season? Our spring season runs from Early February to Late May and our fall Season runs from Early September to Late November. During the Spring, games are held on Saturdays (for youth divisions) and Sundays (for adult divisions). Fall season games are played on Sundays. We hope you join us to explore this exciting sport. Please contact us at .